We pride ourselves on being on time when it comes to plowing snow. We start our day very early, often several hours before you need to get out of your driveway or have to open your business for the day. 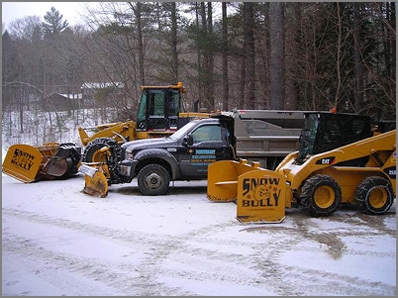 So whether it is slippery and you need some sand or the snow piles have overwhelmed your property and they need to be taken away, we have the equipment to take care of these winter problems.